Governor Seriake Dickson says the governors told President Buhari not to subvert the will of the people. 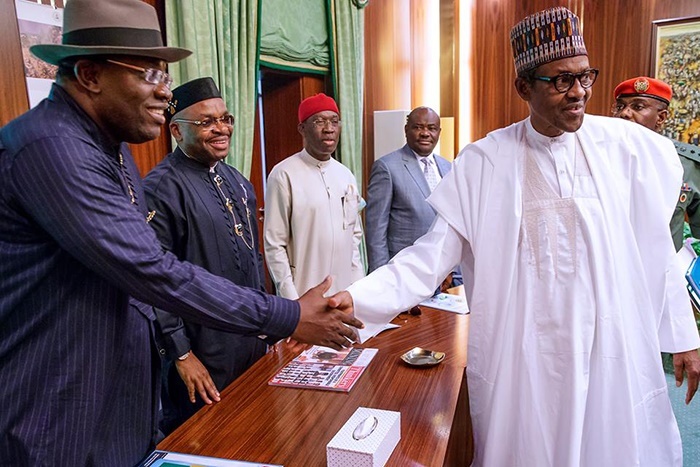 The Governor of Bayelsa State, Seriake Dickson, has revealed some of the issues that South-South governors discussed with President Muhammadu Buhari about 2019 elections. Governors in the southern states in Nigeria are of the Peoples Democratic Party (PDP) and one thing they fight against is letting their states fall as a result of 'Federal Might'. They made this clear to President Muhammadu Buhari when they met with him some days ago. The leader of the Governors and the Governor of Bayelsa State, Seriake Dickson, gave a hint of what was discussed with President Buhari at a gathering in Bayelsa. He was addressing a gathering of Bayelsans that had gathered to welcome top members of the All Progressives Congress (APC) to the PDP. It was about the general elections that will begin in less than 100 days and related issues about using federal might to win elections.